Are you looking for a delicious tuna recipe with a difference? If you are, you’ve found it! 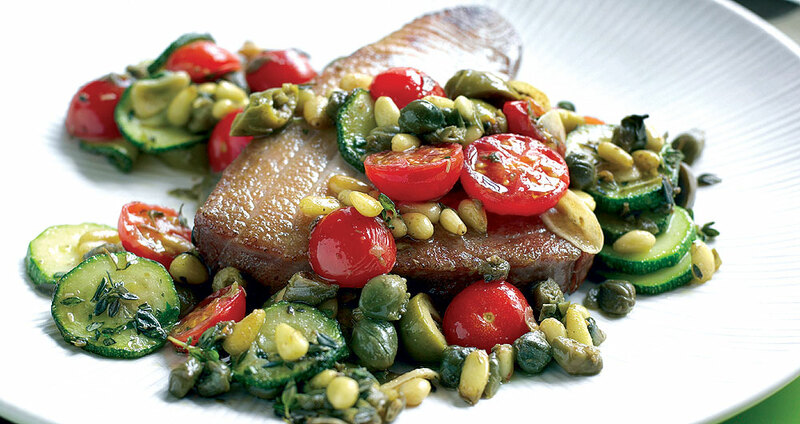 Here’s my seared tuna steak with courgettes and capers for you to enjoy. If you ever have the chance to visit the town where I was born, Torre del Greco, you will soon realise that every restaurant in town serves this dish. Southern Italian people, me included, are absolutely crazy about tuna. If you try to translate ‘tonno scue’ scue’ into English, it would be ‘tuna made with no effort’. The reason it is called this is because the few ingredients used are put together quite randomly with not much thought and yet the dish is still perfect with amazing flavours. Cooked in less than 15 minutes, it is something that I would definitely suggest after a long day. 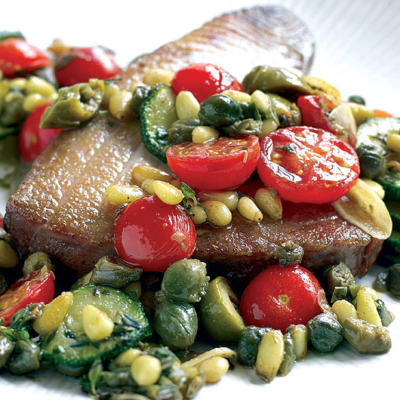 Feast your eyes on the finest seared tuna steak with courgettes and capers! It’s straightforward and fun to make this great dish. Simply follow the instructions below and get the perfect result. Heat 5 tablespoons of the olive oil in a large frying pan and cook the tuna over a medium heat for 2 minutes on each side. Remove from the heat. Heat the remaining oil in a second frying pan and fry the garlic, pine nuts and courgettes for 3–4 minutes over a high heat. Add in the cherry tomatoes, capers, thyme and olives and season with salt and pepper. Cook for a further minute. Spoon the courgette mixture over the tuna and return the pan to a medium heat. Cook for a further 5 minutes, uncovered, to allow the fish to absorb the flavours. To serve, place the tuna steaks in the centre of a serving plate and pour some of the courgette mixture over each portion. 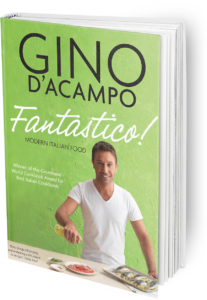 Once you’re done, simply sit back and enjoy your seared tuna steak with courgettes and capers and don’t forget to check out other great authentic Italian recipes including great antipasti recipes, Italian pasta recipes, Italian soup recipes, Italian beef dishes and authentic pizza recipes.